RESPECT AND RESPONSIVENESS YOU EXPECT AND DESERVE. We have earned a great reputation for installing and maintaining perimeter card access controls in a safe and timely fashion. Our personnel are trained in the latest installation and service techniques from all the major manufactures. We have dealer access to most manufactures equipment, parts and materials. We will design and install a customized solution that addresses the evolving security needs of your business in the most effective way possible. We’ll help you choose which of the following products will best serve your particular security challenges. 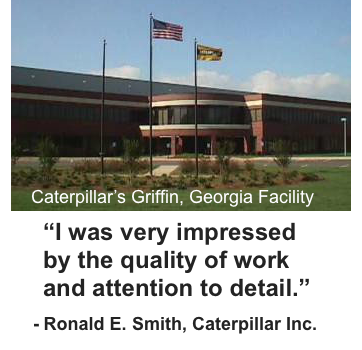 We strive to meet the demands of our customers and will not stop till they’re happy. The interaction from GATE Control to Card Access systems is simple for us. Because we are a Card Access dealer! Our easy to install card access control systems get you up and running quickly and efficiently. Over the life of the access control system, our products offer the lowest total cost of ownership on the market. You can count on our products to be the most reliable out there. We are Proud to partner with the leading Access Control Systems Provider in the Nation! Millennium Enterprise is an advanced access control system designed for multiple site environments, typically over a Local Area Network (LAN) or a Wide Area Network (WAN). Its architecture is specially suited for organizations that wish to maintain operations in multiple locations utilizing a common SQL Server database. In addition, Millennium Enterprise allows individual tenants, through data partitioning, to manage their own building using their own workstations, while giving overall control of the system to the facility manager. Click here to learn more about Millennium Enterprise and their products. Do you want to improve your security? 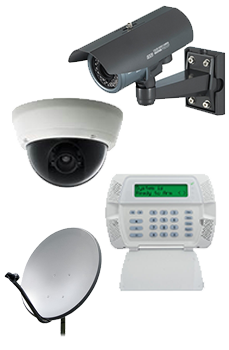 We provide professional security CCTV and CCTV camera installation for home and business. A-Z Tech Integrators is your local CCTV Systems and Spy Camera Surveillance experts with over 30 years experience. We provide you with state of the art Fire Alarm solutions using the best equipment the industry has to offer. Professionally designed and installed to help protect your family, business, or property because you deserve real security and peace of mind. Distributed TV, SMATV, and Audio Paging is another area we excell. If your business is a Office building, hotel, university, apartment building, restaurant, health facilities, or other, we can consult, design, supply, and install the right system for you. Read One of Our Many Success Stories Here! School and Campus Security: With shooters being more present in our lives today than ever before, campus wide lock-down capability is becoming more common. A-Z Tech Integrators, LLC has been offering this feature for quite some time with it’s MILLENNIUM Enterprise and XTRA solutions. One special card presented at any card reader on campus invokes a massive lock-down status. Allow us to show you how this capability can be incorporated into your existing card access system in your school or office.